Drummers’ Heritage Day, May 2, 2015 included four events as part of the Percussion Rochester ’15 Festival. 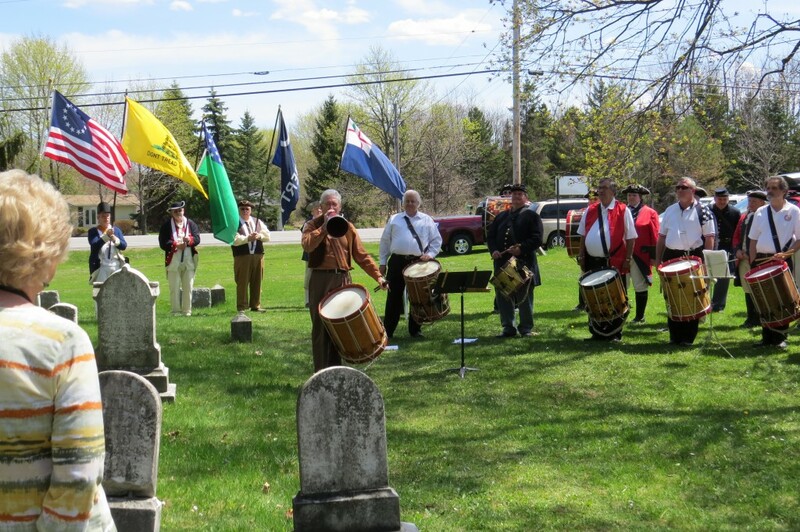 Three of the four events honored Revolutionary War fifers and drummers interred in local cemeteries – East Bloomfield, NY, the West Bloomfield, NY Pioneer Cemetery, and the Mt. Hope Cemetery in Rochester, NY – in tribute to the Late Frederick Fennell. The fourth event was held in Granite Mills Park in Rochester.